Sample disc from the original retail pressing of the album. More information about sample discs can be found in the Test pressings document. 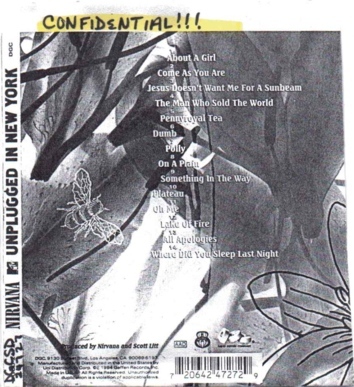 A black and white back insert was included, cut to fit as a front insert, with "CONFIDENTIAL!!!" and the Canadian catalog number written over the American catalog number. The artwork was initially created in the USA, and this insert must have been printed in the Canadian record label offices before they had amended the details. Two copies have been found.